Saratoga Springs Utah Mayor Mia Love gave a terrific speech at the Republican National Convention yesterday. She is running for Congress in November. She is a rising star indeed. And of course, some people have to be complete idiots. Ever open an email and get one of these? Whenever someone sends a return receipt for an email, it smacks of arrogance and mistrust. It tells me that the person who sent the email is already looking to nail you to the wall before you even respond. I'm not going to sugar coat this; I get really annoyed when I see one of these infernal messages when I open an email. And I ALWAYS ANSWER NO. I pride myself on being a total professional at my job and always respond to all messages promptly and courteously. There's no need for the sender to have feedback on when or whether I read their oh so important message. If you're one of these folks who send these, please stop. You come off as a self-important tool. That is not much of a surprise to many, but sometimes, in the interest of 'doing the right thing' unintended consequences result. Fill it up once baby! For example, the city where I live has a trash policy where each house is allowed a 64 gallon container for trash. We also have a small recycling bin and they allow you to put bottles, cans and plastic in another container. In the warmer months, they also pick up yard waste. Out of all of these options, the yard waste has become the most beneficial as there are no limits to what they will take within reason. For example, I use two regular size trash barrels (you know the ones they USED to take for trash) and fill them up with lawn clippings, weeds, etc. This is better than using those infernal paper bags that Home Depot and others sell. Those are a pain to use especially if it's windy. The worst part of all this so-called waste reduction is there is still the same amount of trash and refuse as there was before this program was instituted. I don't have stats to back this up, but my guess is that everyone still has the same amount of stuff (or more) to throw away as they did before. Well, you can recycle bottles and cans, cardboard and plastic and separate them out from everyday refuse. That's fine, I think recycling is a wonderful idea in principal, I'm not so sure how practical it is, but that's another subject. Yes, we should all try to reduce the amount of waste we generate, but I'm not sure restricting what you can throw out each week is the answer. We've all been told that bottled water is better for us, so for the past 20 years or so, everyone buys water. Which means everyone also has to dispose the containers. Which means more waste. Everyone walks around with water bottles these days, and they are all over the place. On the ground. Funny how you don't see any 'stop pollution' commercials these days when everyone is 'supposed' to be so environmentally conscious. Yet people continue to toss water bottles around all over the place. So what's been solved there? Whatever happened to the litterbug? It's a simplistic idea, but shouldn't we have put all this energy into making tap water the best resource? I mean, look, if we had the confidence that our municipal water was the best, purest, and safest water, that alone would reduce at least 2/3rds of the waste. Wouldn't it? I know, people walk around with bottled water all day. Well, use a reusable container. Problem solved. I'd love to replace some old appliances in our house. Problem is, when I do decide to replace them, it's a huge pain getting rid of the old ones. The city wants me to call a local trash company and pay for them to come haul them away. For a fee of course. We used to be able to put things like old appliance and mattresses out with the regular trash and they would take them. For bigger items like refrigerators you had to call for a separate pickup, but there was no fee. Now, we have to pay. 1) You put off replacing these items. 2) People replace them, then dump the old ones somewhere like in a field or a vacant lot. What does THAT solve? For example, environmentalists would love for me to replace my old toilets with these new low flow units that use less water and are..here we go 'better for the environment' but I balk because I really don't want two old toilets sitting around in outside my house for a week or longer. Then I have to pay for the privilege. And I'm certainly not going to toss them into a random lot somewhere. We all want to use less gas so most of us drive smaller vehicles, therefore, most of us don't have the means to haul a refrigerator or two toilets to another town. So if you don't know someone with a pickup truck, you're outta luck there too. The point is, these environmental restrictions have consequences that inconvenience people and actually hamper the economy because people don't go out and remodel as much because the costs of getting rid of stuff is getting too high. Aren't I being shortsighted by worrying about my little space instead of the future of the planet? 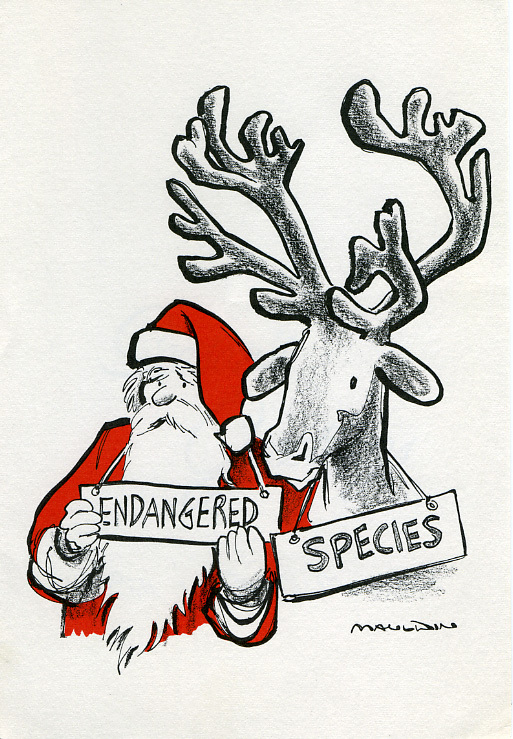 Well, I'm not so convinced by all the environmentalist dogma that we are 'destroying the planet'. Yes, as I mentioned, we should be looking into better ways to reuse old objects and so forth. I'm all for it, but please spare me the zealotry about reducing my carbon footprint and all that crap. But again, that's a discussion for another time. This is a perfect example of what I'm talking about; Household Hazardous Waste Day means you schlep all your hazardous waste down there and wait in line to get rid of it. THERE IS STILL THE SAME AMOUNT OF WASTE. No matter what they try, it still does not reduce the amount of stuff that gets replaced. All this does is cost us taxpayers MORE MONEY. · Furniture pieces, like mattresses, box springs, couches, futons and tables will cost $12. And the company that hauls all the stuff away makes money on the items we pay them to take. And the city has a contract with the trash hauler, so they make money on that contract. Who gets stuck with the bill? We do. So every time I need to get rid of one of these items, I pay for the privilege when I thought all along my taxes covered things like this. The purple ‘overflow’ bags will be available in local markets, retailers, convenience and grocery stores after Valentine’s Day. The 33-gallon draw-string bags come in 5 packs for $7.50 [a roll] and are intended for all refuse that does not fit in the wheeled cart. Trash inside the carts does not require ‘purple’ bags, but should be bagged. Per DOR there is no Mass sales tax added to the purchase price of bags. How nice of them not to tax the bags, someone at the state house screwed up on that one. I bet they'll figure that out and lay a tax on them at some point after everyone is not paying attention. And of course the official explanation is to SAVE US MONEY!!!! Oh Joy. Whenever any municipality or government agency tells you, the taxpayer, that they are implementing any program that will SAVE US MONEY, it will COST YOU MORE. Especially here in Massachusetts. 1. What is the reason for the change in garbage collection? Automation has been shown to reduce operating costs, improve the appearance of our neighborhoods, and reduce injuries to workers. There was a $4.5 million deficit between resident fees and the cost to provide solid waste collection to all 26,500 eligible households. Those deficit dollars should be going to schools, roads, infrastructure, etc. This program was implemented in March of 2009. The residential property tax rate in my city jumped from $13.27 per $1000 in 2010 to $14.77 in 2011 so it appears that this plan is not saving any money. Now I'm not going to say that the tax increase is solely based on trash removal, but every single politician always sells the public on how much any given program will save them. Once again, taxes increase. Sounds like the part about improving the appearance of our neighborhoods backfired too. People who don't want to pay to get rid of something will just dump it somewhere. City officials made it abundantly clear this summer that they are not taking illegal dumping of furniture and other items lightly. And now they are trying to add some bite to their bark. Anyone caught illegally dumping furniture and other items will be subject to a $100 fine for a first offense and a $200 fine for a second offense if the City Council adopts the recommendation made last night by its Neighborhood/Traffic/Recycling/Utilities subcommittee. Anyone caught illegally dumping furniture and other items will be subject to a $100 fine for a first offense and a $200 fine for a second offense if the City Council adopts the recommendation of its Neighborhood/Traffic/Recycling/Utilities subcommittee. That three-member subcommittee voted unanimously Thursday night to recommend the stiffer penalties after hearing reports all summer of illegal dumping throughout the city's streets and neighborhoods. City officials have captured and will turn over to police photographic evidence of three incidents of people illegally dumping furniture and other items at an empty lot on Saturday, officials said yesterday. The city documented the illegal dumping in the neighborhood by utilizing surveillance cameras set up at the site earlier this month. In addition to the mattresses, the suspects also allegedly deposited box springs and mattresses. So much for that point! And the last line of the reason for the change in garbage collection was to save money so deficit dollars can fund schools, roads, infrastructure, etc. Yet the taxes still increased. Perhaps the solution is to pickup items like mattresses, small appliances and furniture a few times a year at residences to help curb issues like illegal dumping. I know some people won't pay any attention or won't want to wait, but the majority who try to play by the rules might benefit. This may also spur people into replacing older less energy efficient appliances without having to worry how to get rid of the old ones. Isn't that a win-win with people buying new items and replacing inefficient appliances? The bottom line is the old saw about the road to hell is paved with good intentions (and old TVs and mattresses) certainly applies here. All these feel good laws and policies have, as I said, unintended consequences that ultimately hurt our economy. This (unless you work for the Newport Vermont Sherrif's Department) will make your day. A local farmer, upset that he had been arrested for marijuana posession and resisting arrest (that should have been a clue) in July exacted his revenge by driving a Case MX 255 tractor to the police station and flattening 6 police cruisers in the parking lot. Also great for crushing police cruisers! Awesome: "It was then that I really knew something very unusual was going on at the sherriff's station." Yep, a guy on a huge tractor running over police cruisers would correctly be categorized as unusual. Sure, we can use 'em as convertibles now, but you do know it gets really cold up here in the winter? By the way, is that cop actually laughing???? By this time, Mark Quirion had made his way from the stand to a closer vantage point across the road. From there, he saw Pion go up and over the car pile and then reverse back over it. At that point, Pion exited the station.With the cruisers crushed, most deputies pursued the tractor by foot; but two others, who had been out with their cruiser, returned and gave chase. They were joined by civilian Mike Riendeau, whose car had been commandeer by deputies in pursuit with Riendeau as driver.Pion was finally apprehended at gunpoint on The Causeway in Newport in front of Passumpsic Bank, where he put the tractor into reverse, causing the pursuit vehicle to take evasive action and cause another minor collision. The guy had to stopped at gunpoint!! He was one angry farmer!! Mr. Pilon is being held on $15,000 bail. Maybe he can use the tractor as collateral! When Will People Learn That The Left Lane Is For Passing???? Please, please, please. for all of us who dearly just want to get from one place to another with the least amount of hassle, please read this. I've written about this before in part, but it can't be written about enough until we get people to understand why this is such a big problem. I just don't understand the need for some drivers to get and stay in the left lane. We've all seen them. They are in the left lane staring straight ahead doing about 10 mph slower than the flow in all the other lanes. Drivers will go around them, but there are times when you want to go faster and get stuck behind one of these geniuses and THEY WON'T BUDGE. The next car in front of them is about 1/2 mile ahead, there's enough room for them to move over into the next lane but you can't get over and pass them. Ever been in this situation? It is ILLEGAL in most states to drive in the left lane and not yield to faster vehicles. You don't believe this, Jane and Johnny Obstacle? It is a phenomenon that seems to be pervasive in every state on virtually any multi lane highway. 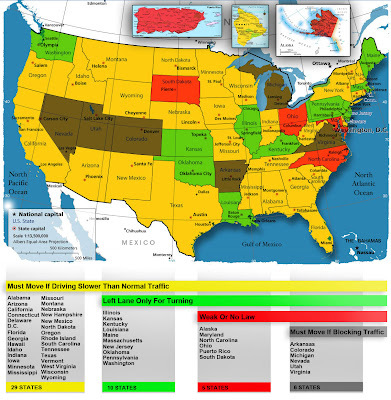 The chart below indicates there are 29 states with laws on the books where driver in the left lane are required to move over if driving slower than normal traffic. Note the law does not say the speed limit. It says slower than normal traffic. 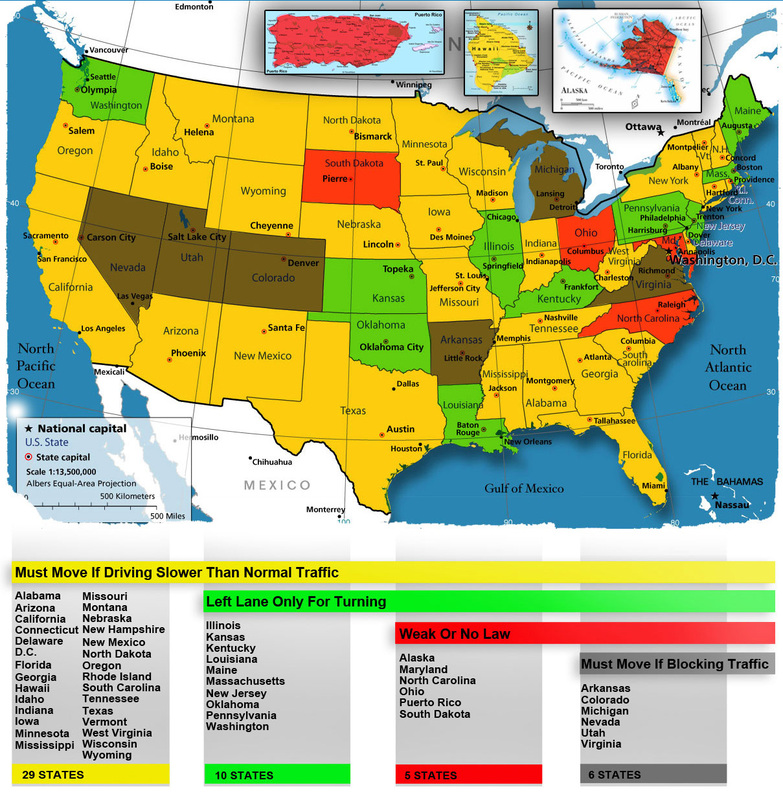 That means if the speed limit is 65 mph and you're in the left lane doing 70 mph and others are passing you on your right and you have cars behind you trying to pass you YOU MUST MOVE OVER ACCORDING TO THE LAW in these 29 states. It is not incumbent upon you, Mr. or Ms. Left Lane Slow Driver, to regulate the speed of others. It is, however, incumbent upon you to GET OUT OF THE WAY. The LAW is against you Mr. or Ms. Obstacle. Simply stated : YOU NEED TO MOVE OVER. BY LAW. The logical question then is of course: "Why isn't this enforced then?" The Answer: If troopers are pulling left lane violators over during commuting hours, what do you think will happen? MASSIVE TRAFFIC JAMS. Here is another link to Keep Right laws in all 50 states. New Jersey is considering raising fines for left lane violators. Ohio is also passing a law to make it illegal to drive in the left lane unless passing. Delaware is also considering fining left lane violators $230. A radio spot from an insurance company in Washington State calls them Oblivious Left Lane Occupants. "Some people have asked if we actually stop drivers for staying in the left lane, and we absolutely do," Sgt. J.J. Gundermann of the Washington State Patrol told Pemco. "The Legislature's intent is for the left lane to be used as a passing lane, and ultimately some people need a ticket to get them to comply." "If almost half of drivers don't know that left-lane camping is illegal, that might explain why it seems so common on our freeways," Pemco spokesperson Jon Osterberg said. "Perhaps we simply need to increase awareness." I got an email forwarded to me by my neighbor and thought I'd pass the story along. It's yet another compelling story about those who fought in World War II. It's important to keep these stories alive as they are not only ingrained into the fabric of this nation, it is a part of our history that should not and cannot be forgotten. 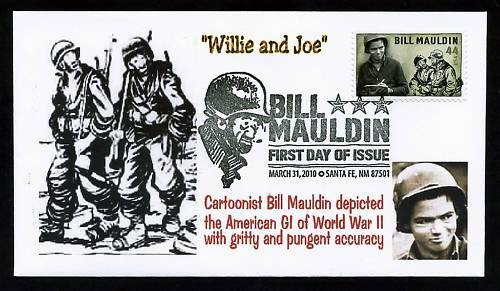 Back in 2010, the United States Post Office released a commemorative stamp honoring a World War II Army cartoonist. What is so significant about a cartoonist getting a stamp? First of all, it's an extraordinary honor, secondly, there are many generals and admirals who have not received such a tribute. 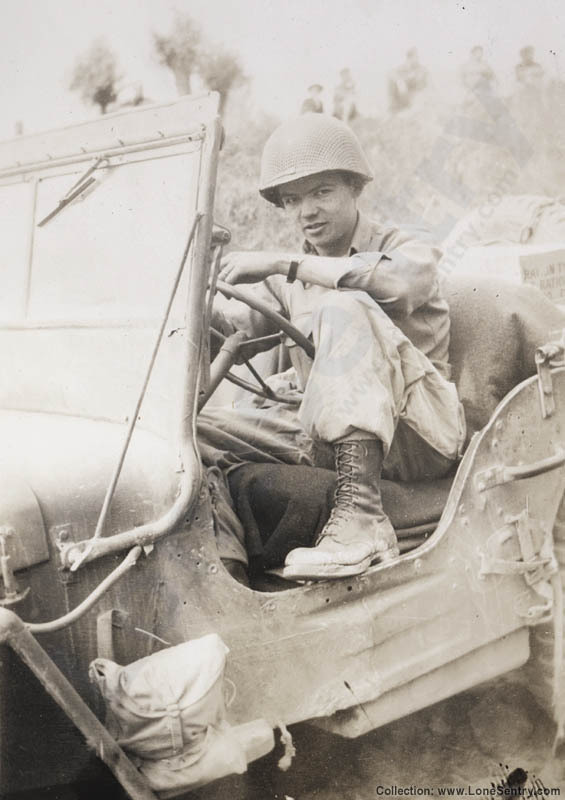 The story below explains how and why this man came to be so beloved by GI's and how his work affected soldiers on the front lines. 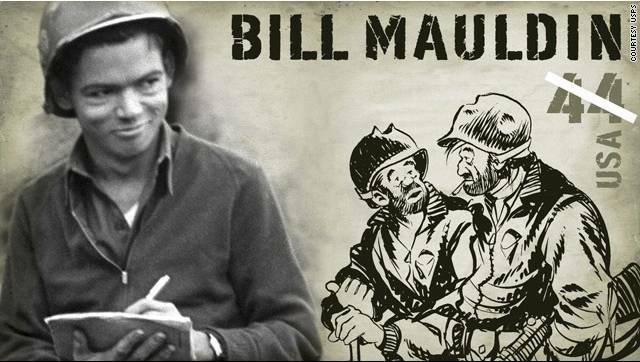 Bill Mauldin was a cartoonist who drew for The Stars and Stripes, the United States Armed Forces newspaper. 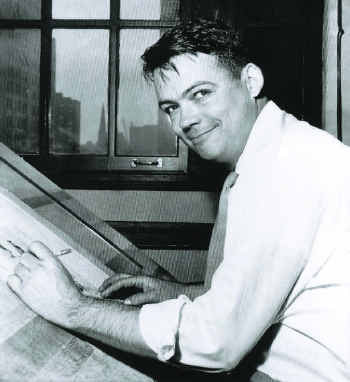 Some of you like me, may have seen some of Mauldin's drawings before but never knew about the man behind them. The story below fills in all those details. Get out your history books and open them to the chapter on World War II. Today's lesson will cover a little known but very important hero of whom very little was ever really known. Here is another important piece of lost US history. 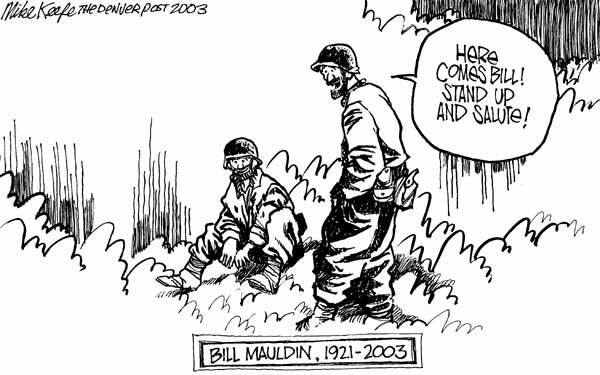 Mauldin died at age 81 in the early days of 2003. The end of his life had been rugged. He had been scalded in a bathtub, which led to terrible injuries and infections; Alzheimer's disease was inflicting its cruelties. Unable to care for himself after the scalding, he became a resident of a California nursing home, his health and spirits in rapid decline. He was not forgotten, though. 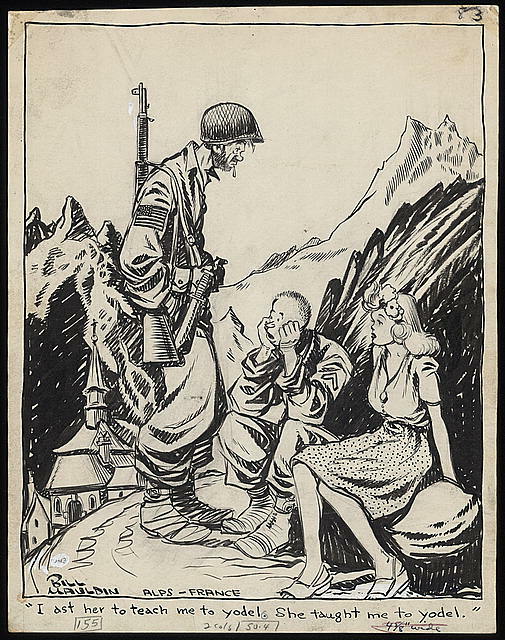 Mauldin, and his work, meant so much to the millions of Americans who fought in World War II, and to those who had waited for them to come home. 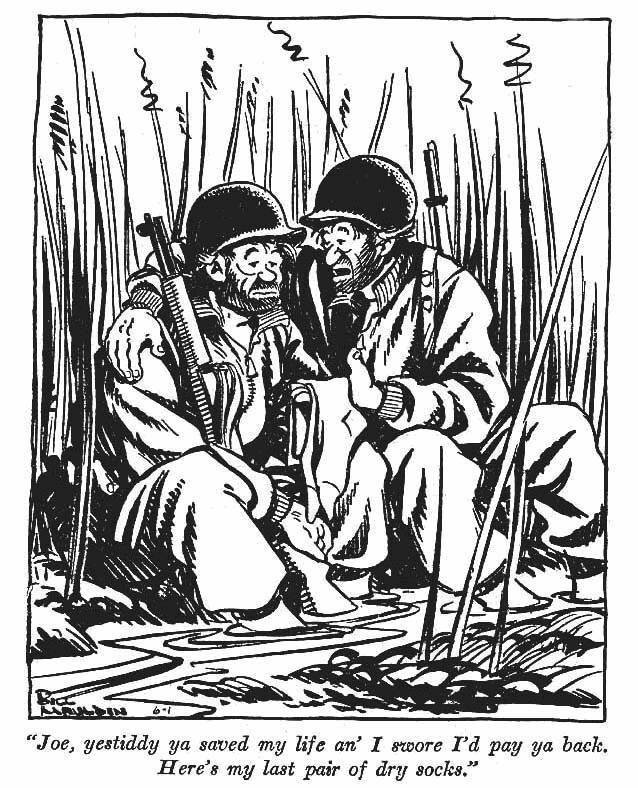 He was a kid cartoonist for Stars and Stripes, the military newspaper; Mauldin's drawings of his muddy, exhausted, whisker-stubble infantrymen Willie and Joe were the voice of truth about what it was like on the front lines. 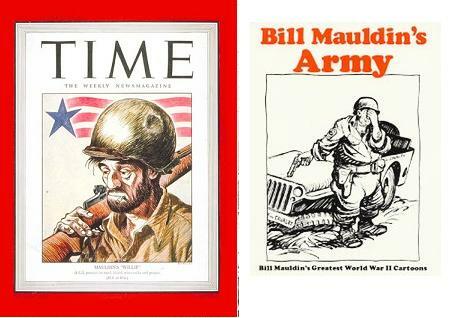 Mauldin was an enlisted man just like the soldiers he drew for; his gripes were their gripes, his laughs their laughs, his heartaches their heartaches. He was one of them. They loved him. He never held back. Sometimes, when his cartoons cut too close for comfort, superior officers tried to tone him down. 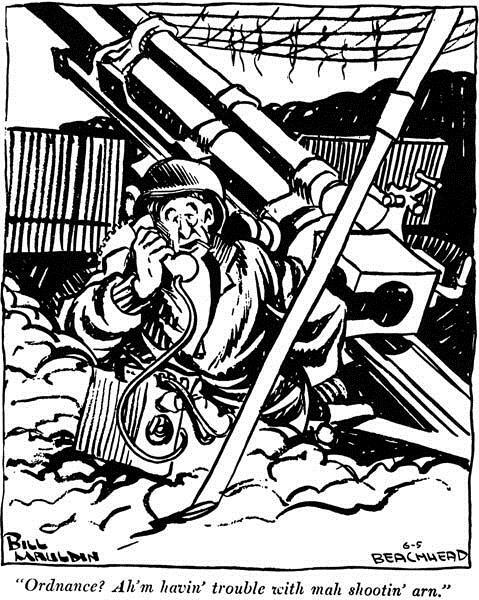 In one memorable incident, he enraged Gen. George S. Patton, who informed Mauldin he wanted the pointed cartoons celebrating the fighting men, lampooning the high-ranking officers to stop. Now! "I'm beginning to feel like a fugitive from the' law of averages." Not quite. Mauldin, it turned out, had an ardent fan: Five-star Gen. Dwight D. Eisenhower, supreme commander of the Allied forces in Europe. 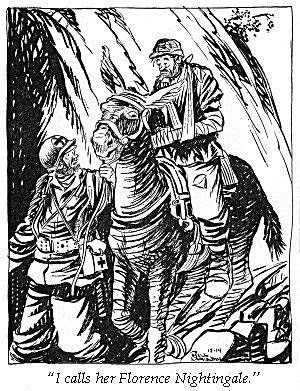 Ike put out the word: Mauldin draws what Mauldin wants. Mauldin won. Patton lost. "By the way, wot wuz them changes you wuz gonna make when you took over last month, sir?" All of that at 23. 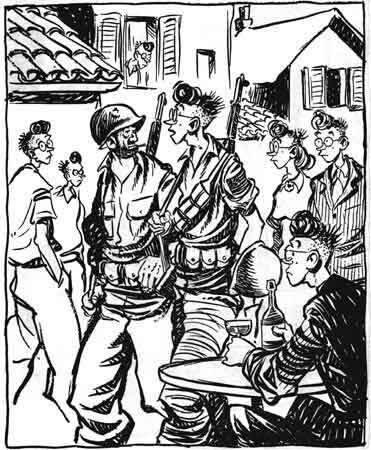 Yet, when he returned to civilian life and grew older, he never lost that boyish Mauldin grin, never outgrew his excitement about doing his job, never big-shotted or high-hatted the people with whom he worked every day. He had achieved so much. 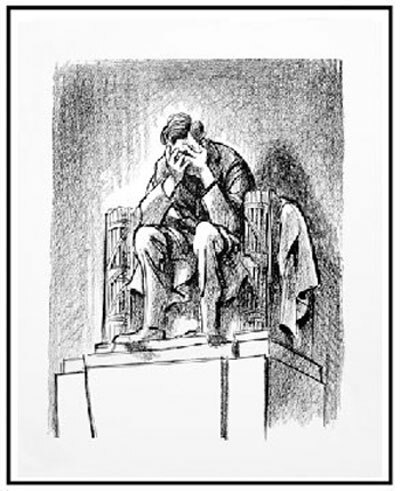 He won a second Pulitzer Prize, and he should have won a third for what may be the single greatest editorial cartoon in the history of the craft: his deadline rendering, on the day President John F.Kennedy was assassinated, of the statue at the Lincoln Memorial slumped in grief, its head cradled in its hands. But he never acted as if he was better than the people he met. 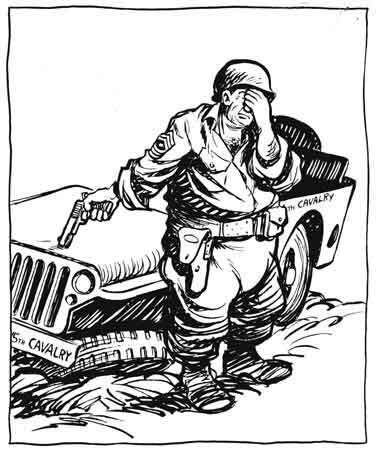 He was still Mauldin, the enlisted man. During the late summer of 2002, as Mauldin lay in that California nursing home, some of the old World War II infantry guys caught wind of it. They didn't want Mauldin to go out that way. They thought he should know he was still their hero. "This is the' town my pappy told me about." Gordon Dillow, a columnist for the Orange County Register, put out the call in Southern California for people in the area to send their best wishes to Mauldin. I joined Dillow in the effort, helping to spread the appeal nationally, so Bill would not feel so alone. Soon, more than 10,000 cards and letters had arrived at Mauldin's bedside. One of the veterans explained to me why it was so important: "You would have to be part of a combat infantry unit to appreciate what moments of relief Bill gave us. 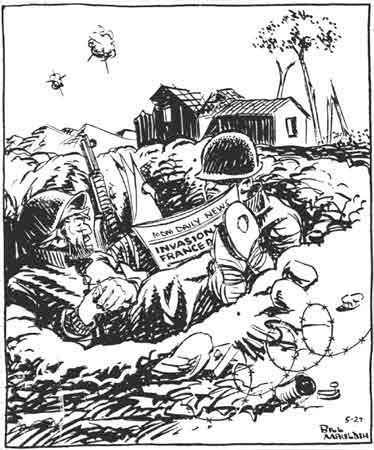 You had to be reading a soaking wet Stars and Stripes in a water-filled foxhole and then see one of his cartoons." "Th' hell this ain't th' most important hole in the world. I'm in it." 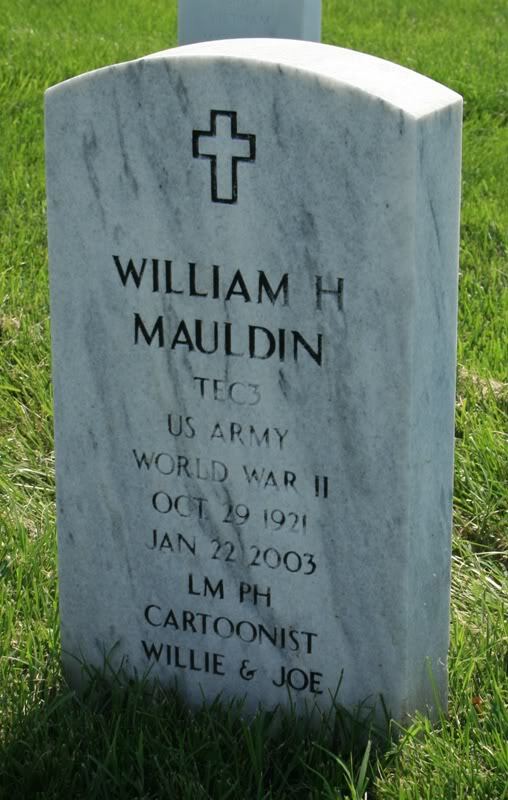 Mauldin is buried in Arlington National Cemetery. Last month, the kid cartoonist made it onto a first-class postage stamp. It's an honor that most generals and admirals never receive. What Mauldin would have loved most, I believe, is the sight of the two guys who keep him company on that stamp. Take a look at it. There's Willie. There's Joe. What a story, and a fitting tribute to a man and to a time that few of us can still remember. But I say to you youngsters, you must most seriously learn of and remember with respect the sufferings and sacrifices of your fathers, grandfathers and great grandfathers in times you cannot ever imagine today with all you have. But the only reason you are free to have it all is because of them. I thought you would enjoy reading and seeing this bit of American history!